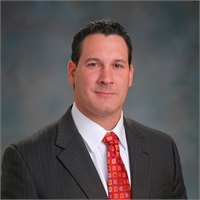 Edward Dropic Professional Profile: Edward Dropic is Senior Vice President of Sales for 21st Century Financial, Inc. He is the former owner of Ahead Human Resources of Cleveland and has 18 years experience as a small business owner. As a Financial Strategist, Ed specializes in working with the medical community, focusing on physicians, nurse practitioners, physicians assistants, registered nurses, pharmacists, executive administrators, their families and employees. Professional Business Philosophy: I am an advocate for the people I work with, their families, businesses and employees. I believe it is my duty to ensure they have the most effective, efficient and enjoyable financial life possible. My goal is to remove biases and exceed goals. I do this using sophisticated and comprehensive financial modeling tools to simulate scenarios that may occur in an individual’s life. Our Firm provides a suite of practical financial programs for its clients. This multi-step process, is executed where our financial professionals gather facts, analyze data, and design solutions in several key areas. Using a needs-based approach, we work with our clients to identify and focus on unique financial goals and objectives. We then implement the multi-step process to design a program that addresses those needs. At 21st Century Financial, our client is our number one priority. We are dedicated to being advocates of the products and services appropriately suited to meet our client’s needs. Our Mission Statement: To keep medicine the way it should be… between the patient and the medical professional. We do this by supporting and partnering with closely held and individually owned medical practices, physicians, and their key employees. Our strategies helps to keep them financially healthy and medically focused while allowing them to attract and retain the best talent. The goal of our partnership is a win for the patients, employees, and physicians. Our Purpose is to help families, business executives and small business owners. Our associates bring a high level of integrity, energy, persistence and dedication to their endeavors. They emphasize a personal relationship approach to optimize the ever-expanding and changing needs of the dynamic financial world. Our clients can benefit from the experience and innovative solutions that our financial professionals provide.